Application for Syflox (Jack)! - Application Archives - SixtyGig - The Minecraft server for mature gamers. Previous Minecraft experience: I started playing Minecraft back in 2010. I found a nice community which I was an involved member of, until it fell through in 2013. I stopped playing Minecraft since then as I was growing tired of it and felt rather burned out from the previous years in the community. 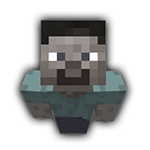 I have recently become interested in Minecraft again and hope to do some cool redstone creations! Your background: I love to build computers! I just recently moved my computer parts into a mini-ITX chassis to accomodate the college dorm room. I work part-time at a local store to help with college expenses (and hobbies, heh). I recently picked up photography as another hobby, and was just at Pictured Rocks and took some breathtaking pictures! For anyone familiar with the Myers-Briggs Type Indicator, I have an ISTJ type personality, so I may appear to be quiet, but I do enjoy talking with other people once I feel comfortable. My preferred genre of music would be electronic, but anything with a catchy beat will get stuck in my head! Thank you for considering my application, I look forward to playing and talking with you all. Hate to say but we aren't really taking on new members as we don't really have a app manger and we've been going though some changes, new admin, new server location/host, etc etc. If ya want the details take a quick look around in the forums. We can't give out a date when we will be even think of you as a possible member but you're quite welcome to hang around and get to know us.